Warehouse found guilty of Disability Discrimination & Unfair Dismissal. The company used private detectives to trail and video injured IWW member after rejecting the recommendations of their own Occupational Health Advisers and other medical practitioners. “This case shows the lengths employers will go to avoid treating their employees fairly or decently.” – Dave Green, IWW representative. Wincanton Sainsbury, Northampton Swan Valley, was recently found guilty at an Employment Tribunal Court of Disability Discrimination and Unfair Dismissal against one of their workers who was seriously injured in an accident at work in 2012. The employee, ‘N’., was injured after being told to work under maintenance workers who were working up in the roof of the warehouse: a heavy metal drill chuck fell on her head. Suffering ongoing headaches, sickness, disorientation and other symptoms since that accident, N had been seeking, with the help of her union the Industrial Workers of the World (IWW), reasonable work adjustments in line with Employment and Equality Legislation, so she could continue to work. The company had argued that N could only return to her original heavy manual work, which exacerbated her symptoms, and they failed to make any reasonable adjustments as outlined under Equality Legislation. Finally they dismissed her in October 2014 on the grounds that she had misled the compan about her injury and symptoms. This was in spite of the reports of four consultants, the company’s own Occupational Health Advisers, and many other medical practitioners all saying she had a vestibular disorder as a result of the accident and was suffering symptoms that meant she could not return to her original manual lifting duties. Wincanton, seeking to challenge to all the medical reports, hired two surveillance companies to spy upon the claimant for a period of weeks to gather filmed and edited information that they said showed N was exaggerating her symptoms and that she was not disabled under Equality Legislation. The Employment Tribunal unanimously decided, after a four day hearing, in N’s favour on both the unfair dismissal and unlawful discrimination and awarded N over £20,000. Dave Green, her IWW union representative in the case said “We think this case marks a new low in industrial relations and the way companies treat their employees. 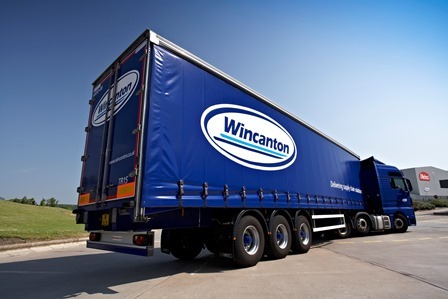 This shows that Wincanton are prepared to spend thousands of pounds on hiring private detectives to spy on their workers who have been injured at work rather than comply with the law. They wanted to disprove their own Occupational Health Advisor reports, four different highly qualified consultants’ reports and many NHS medical staff who examined N”. “This case shows the lengths employers will go to avoid treating their employees fairly or decently. Unfortunately in the modern working environment companies can get away with treating their workers as expendable and believe that when things like this happen they can just go and hire someone else. This case highlights the need to rebuild strong workplace Trade Unions as the only real way to secure better conditions for workers and to roll back the unbridled power of present day employers”.